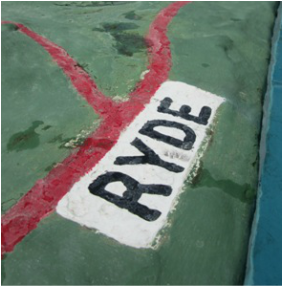 I didn't used to like Ryde all that much. We never fell out publicly or had a spat on Twitter but I would always recommend other Isle of Wight towns first. Now we've got a toddler we've realised the town offers quite a few things to do and attractions, many of which are free. 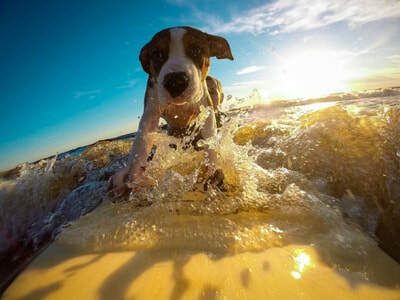 Appley is probably the Isle of Wight's best beach for ball games and kite flying as it is big enough that you won't be constantly retrieving your football from a disgruntled sunbather. The sand near the Esplanade makes a good effort to appear golden on a sunny day, whilst the soggier sand goes half way out to the Solent at low tide. Not exactly a full day out but those who feel nostalgia isn't what it once was will enjoy a stroll up Ryde Pier. Pier fans won't need me to tell them that it is the second longest pier in Britain (Southend is the longest) and it is also the oldest in the country at 200 years. The Pier doesn't have a lot to do on it, it is mostly just a railway station and ferry port. For an added adventure, catch the Isle of Wight's only 'modern' train. The carriages are old London Underground Northern Line trains. Agoraphobics can close their eyes and imagine they are in a small tunnel if all that sea air and open space gets a bit much. 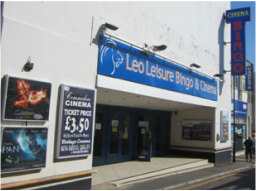 Ryde's bowling alley and laser quest offer indoors entertainment for a rainy day at a similar sort of price and are probably best suited for teenagers and older children (or adults who never quite grew up, like me). The laser quest is inside the bowling alley. Cinemas nowadays are either vast multiplexes with huge screens and £6 popcorn or they are somewhat outdated buildings which rely on charm over comfort. Ryde's small cinema definitely has charm, plus it is generally cheap (£4 last time I checked, 2018). The smaller screen may only be slightly bigger than your neighbours new 4k mega TV, but it is a nice place to hide on a cold or wet day. 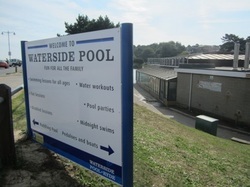 On Ryde Esplanade you'll find the community run Waterside swimming pool. It is a fairly basic setup with one main pool and no flumes but it does have nice warm water and a roof which opens up on a sunny day. 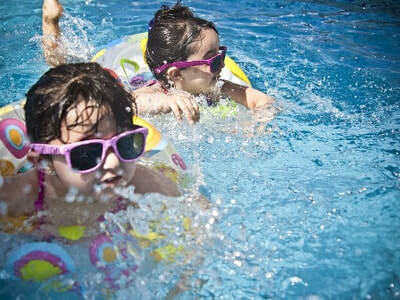 When we went it wasn't quite as busy as usual public pools where you end getting kicked by other swimmers or splashed by oiks. 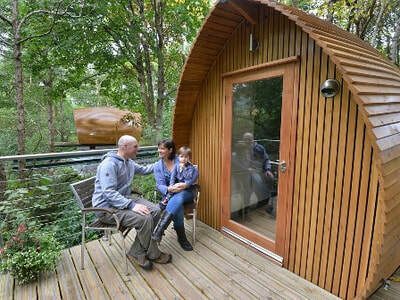 Read our blog about the visit to the Waterside. Alongside the Waterside Pool is the Canoe Lake (also known as the Boating Lake) at Ryde where you can hire a pedalo on the shape of a Swan. The Lake is also home to several real life swans. Please do not attempt to board the real swans with your family. They can't take the weight of a whole family and don't react well to being peddled. Another Ryde Esplanade attraction are two modern playgrounds. The one at the Appley end is the bigger one with slides galore and lots to do (and no swings bizarrely - my daughter was not impressed). There's a smaller playground near the Waterside Pool. There is also a modern paddling pool with jets and things which make toddlers squeal with delight/cry depending on what time it is. It only seems to open during high season. Older children and teenagers may prefer to chillax at the gnarly skate park near the bowling alley, dude. I've seen a tourism guide describe shopping in Ryde as 'elegant' which might be pushing it a bit. I tend to feel the elegance has gone as soon as Poundland opens in the High Street, but there is a good mix of independent and chain shops, as well as lots of charity shops. 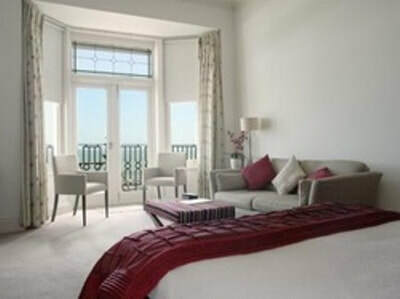 It is on a massive great hill with sea views which turns shopping into a buttock hardening exercise. I’m a sucker for alliteration so I’ll describe the the Boro Beach Bike as a pedal propelled promenade attraction where passengers provide the power. There are 17 seats, most of which have pedals attached. A small number of seats are available for smaller visitors whose feet wouldn’t reach the pedals. They mostly offer ‘hopper’ rides around the seafront which cost about a fiver or there are themed rides with things like pizza parties, afternoon tea or local quizzes. I know what you're thinking - tree climbing is hardly unique to Ryde. However, there is a company called Goodleaf which does technical tree climbing at a tree in Appley Park with things like ropes and a hammock at the top. It costs about £30 - £40 depending on your age. 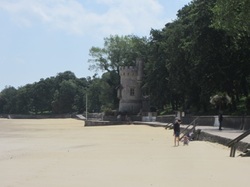 At the far end of the Esplanade, past Appley Tower is the free Puckpool Park which has a combination of sporty things (tennis courts, crazy golf, putting green, decent playground), historic things (the remains of a fort to guard us against those pesky French) and edible things (Puckpool Tea Gardens). 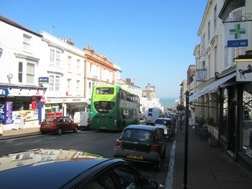 Alternatively, drive through Seaview and park in the car park (PO34 5AR). Puckpool Park has also hosted zombie themed events - well, why not? In bloom Puckpool Park was nirvana for us when we played minigolf. 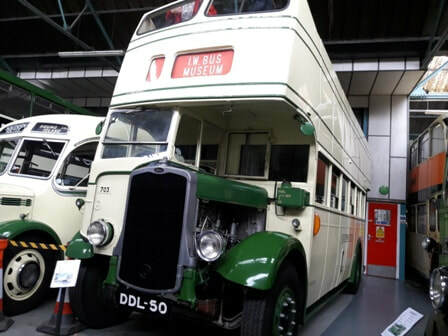 You might think twice before dragging teenagers to a bus museum, although there was one boy at my school who absolutely adored buses and spent every journey chatting to the drivers about chassis numbers. Last time I saw him he was...a bus driver. Anyway, the bus museum is led by enthusiastic volunteers and so isn't open every day, but it is free (time of writing, 2018). It's also indoors, so you'll find your interest in buses suddenly peaks on a rainy day. OK, OK, this might sound a little crazy. After all, you've paid to catch a ferry to get to the Isle of Wight so getting on another ferry might not be all that appealing. However, the Isle of Wight's Hovercraft, run by Hovertravel, is now 50 years old and is the 'only scheduled passenger hovercraft service in Europe'. 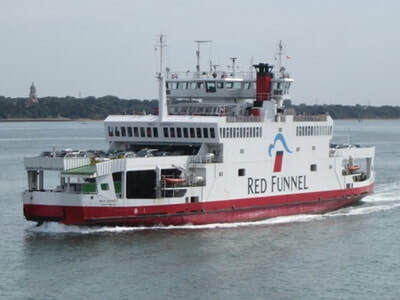 At the time of writing (2015), a day return costs about £18 for an adult for a 10 minute crossing, but there are often offers and deals available from Hovertravel. However, I'll make an exception for Ryde Carnival which is the UK's oldest and which was once attended by Queen Victoria, who apparently was a massive fan of blokes selling helium Disney balloons and tractors pulling a trailer full of lightbulbs. ​There's a main carnival, an illuminated one and a children's carnival. Ryde also hosts the Isle of Wight International Scooter Rally and the International Classic Car Show. This volunteer run centre opened in 2011 and is underground in the Royal Victoria Arcade on Union Street, which is one of the more interesting parts of the town centre. It includes a collection of historic photos of Ryde, covering things such as the development of the hovercraft and steam trains. In the same space you'll find the Donald McGill Museum, which is a collection of 'saucy seaside postcards'. Ooh er, missus! Whilst I was at school, several of my friends decided they didn't like living on the Isle of Wight and declared "I'll escape". Most of them are now living in places like Slough and Middlesbrough and questioning if they made the right decision. The similarly named Isle Escape is an escape room in Ryde. It's quite new but it gets good reviews on Facebook at the time of writing. 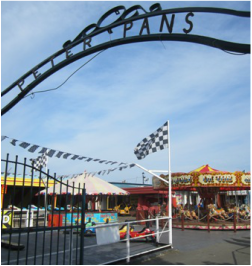 I can't help but imagine Michael Jackson operating the carousel at Neverland every time I go past Peter Pan's Funfair and Amusements on the seafront at Ryde. We've not been in, but it seems to be aimed at younger children (I would say pre-school or early years). 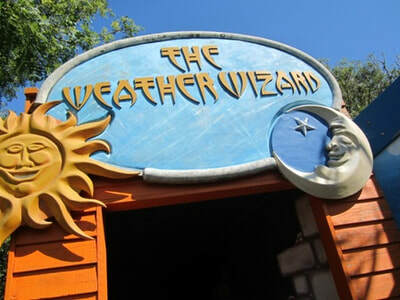 Peter Pan's gets mixed reviews, but it might fill a bit of time, and there is a crazy golf bit for older children and competitive dads. It is one of those places that insists you purchase tokens which you are then stuck with when it starts to rain. If you enjoy feeding slot machines with an insatiable appetite for loose change, there is an amusements arcade near the bottom of the pier (it was called Arcadia last time I went). 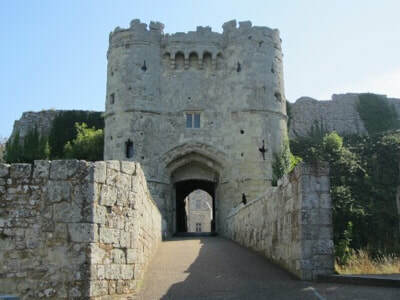 If you decide to travel a little outside of Ryde, there are a few other noteworthy things in the East Wight. Priory Bay (shallow, golden sands, accessible by walking round from Seagrove Bay). See our beach guides for locations and more advice.